Leaders of the Yoruba socio-cultural organisation, Afenifere, have been advised to stop endorsing or openly campaigning for individuals and political parties seeking elective offices in 2019 general elections. Giving the advice in an interview with Saturday Sun, the General Overseer, Messiah New Life Church International Incorporated, Ipakodo-Ikorodu, Lagos, Archbishop Joseph Ehindero, stated that Afenifere will create division among Yoruba by taking sides with individuals and political parties. According to him, “these people are elders and leaders, and what people expect from them is to play advisory roles. They are supposed to play fatherly role to all. They are not supposed to be partisan. But, it is unfortunate that Afenifere leaders today have become chief campaigners for the former Vice President Atiku Abubakar. Not only that, they have openly endorsed him and have been asking Yoruba to vote for him. While declaring that Afenifere leaders are on their own in their campaign against Buhari, the cleric said: “It is better Afenifere leaders retrace their steps before they lose respect among the Yoruba. While declaring Atiku’s presidential bid an exercise in futility, Ehindero said it was divinely revealed to him that Buhari will defeat Atiku in 2019. 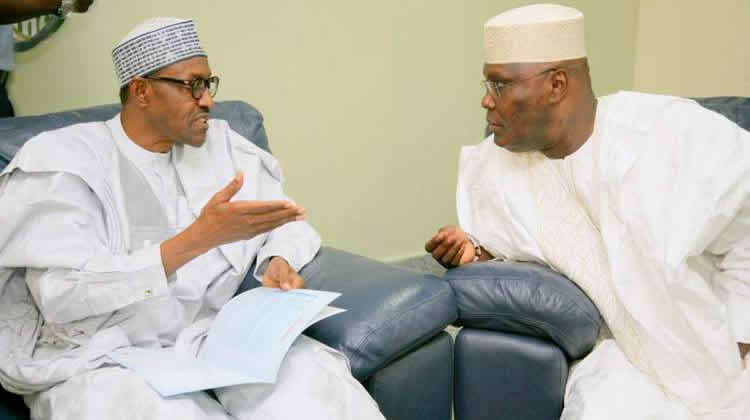 “Atiku will suffer terrible defeat in the hands of Buhari. All those prophets predicting Atiku’s victory are fakes. The vision they claimed to have seen is not from God. Atiku is going nowhere, that’s what my living God told me, and those prophets that are predicting his victory are not hearing from God but from the devil. Buhari is the man God has ordained to win 2019 election, and his victory has been sealed by God’’, the cleric declared.